The HULK returns to Kotobukiya’s ARTFX+ line, this time based on his appearance in AVENGERS: AGE OF ULTRON! 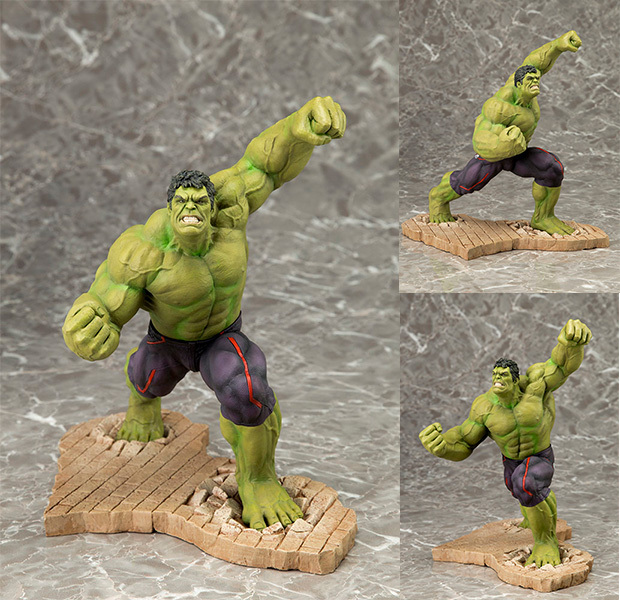 Beautifully sculpted in the ARTFX 1/10 scale, THE HULK’s rippling physique stands out with every muscle on display! HULK strides forward, his fist ready to smash into his opponent HULK comes with a special display base, designed to interlock with the base from the AVENGERS: AGE OF ULTRON HULKBUSTER IRON MAN to create an exciting battle diorama!